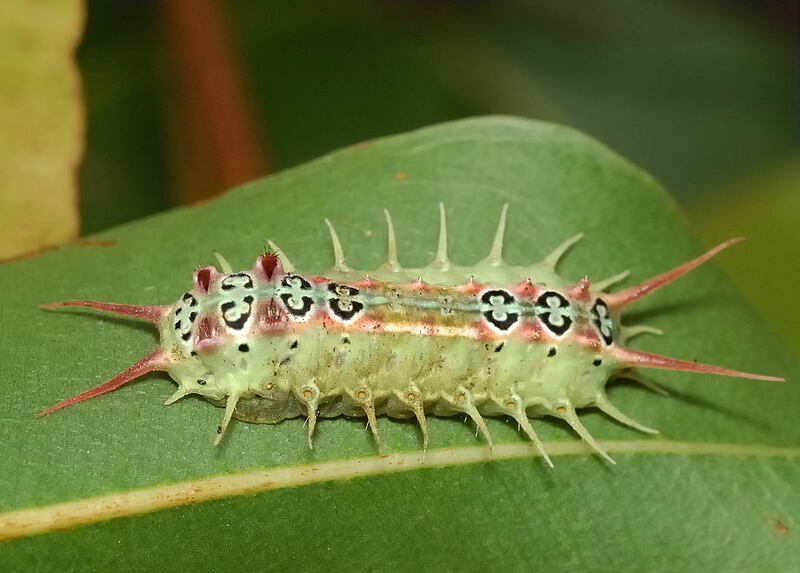 This page contains pictures and information about Four-spotted Cup Moths that we found in the Brisbane area, Queensland, Australia. 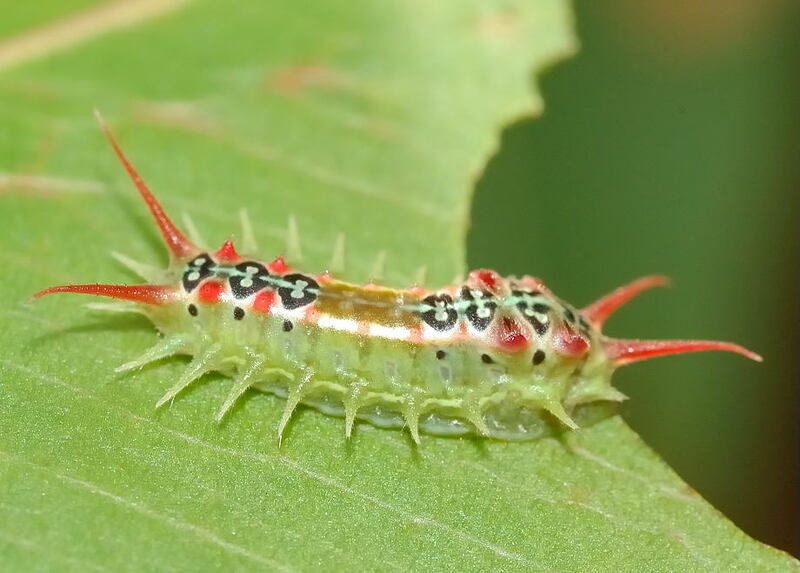 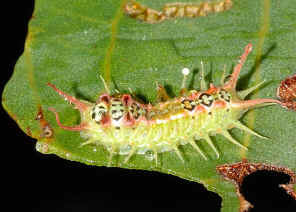 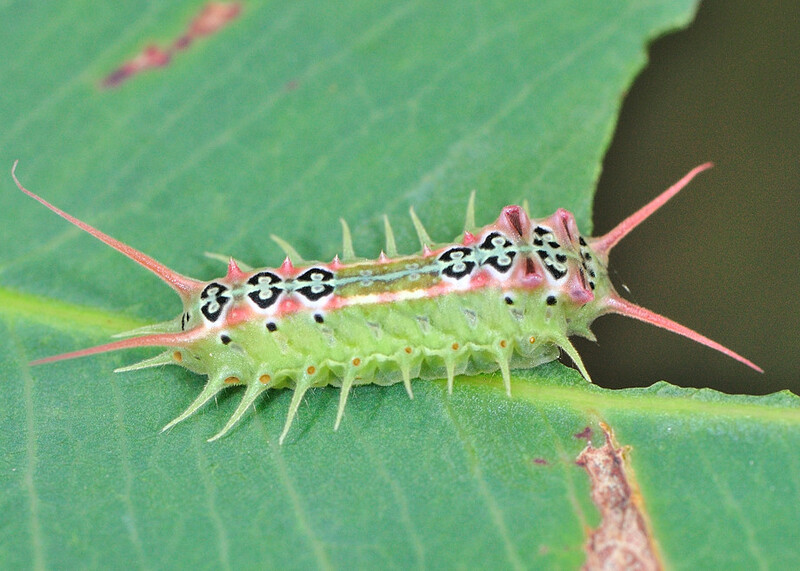 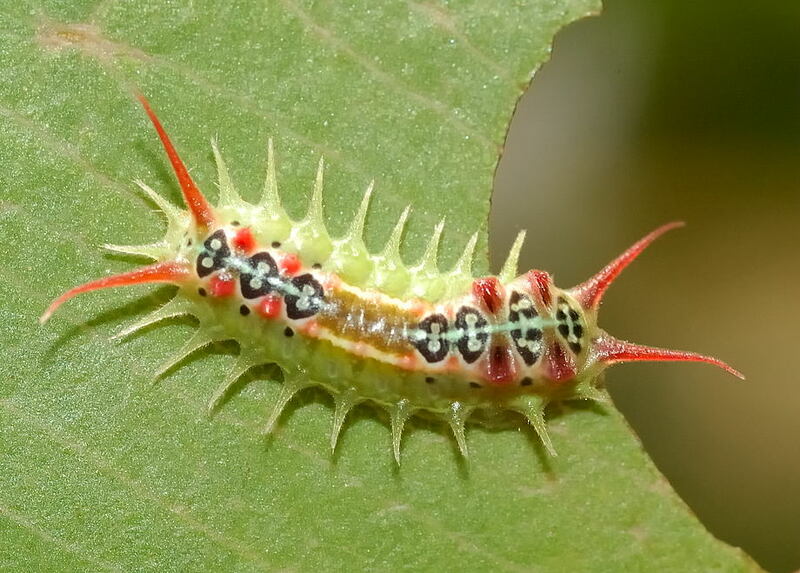 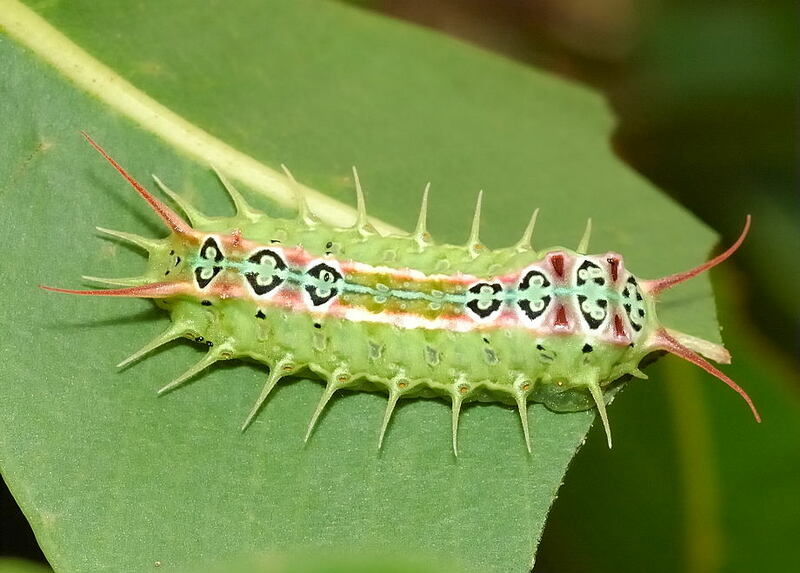 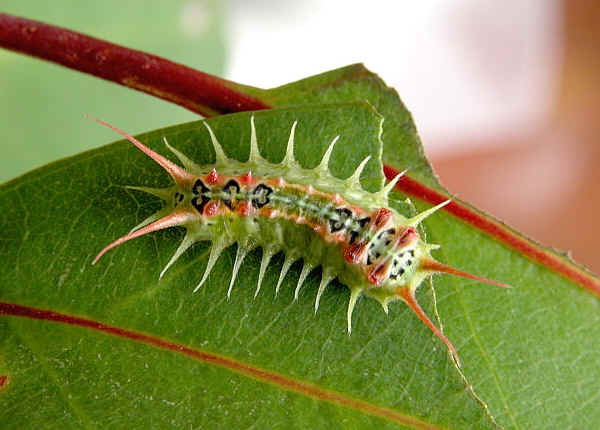 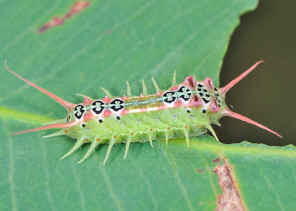 The Four-spotted Cup Moth caterpillar is colourful, with pale green body, pink back with black and white patterns on the top. 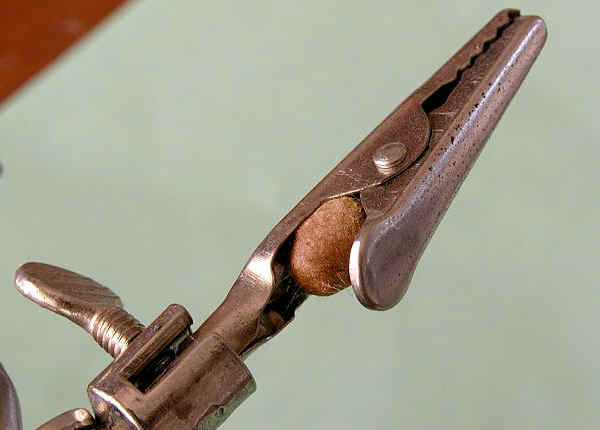 There are eight green spikes on the each side, at the front and end there are a pair of red spikes. On the top of thorax section, there are four hidden red spikes, will erect with stinging hairs when disturbed. 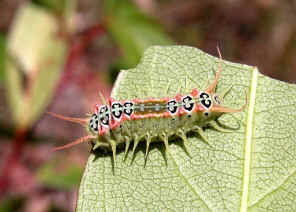 We found some Four-spotted Cup Moth caterpillars in Alexandra Hill during mid summer. They were feeding openly on young gum tree leaves during the day. 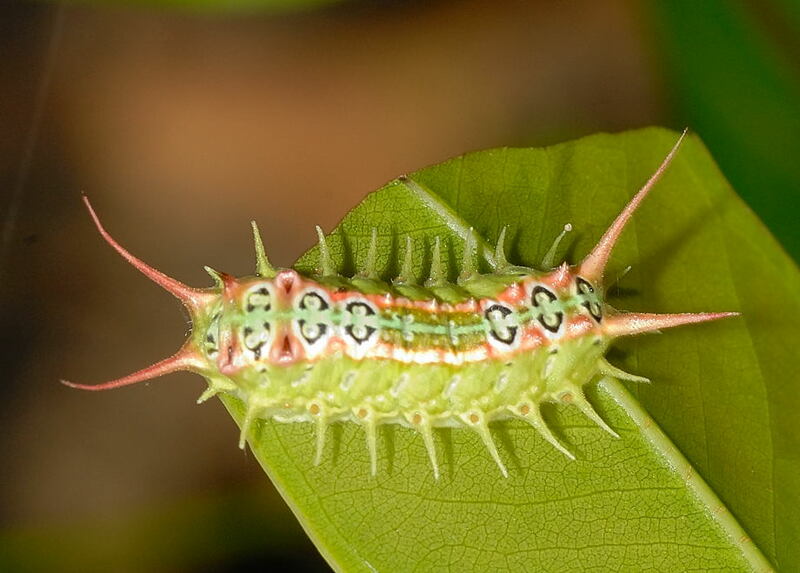 We took a few of them home to watch their grow. 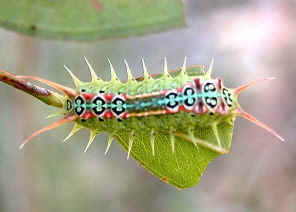 We also took some branches of gum leaves as their food. 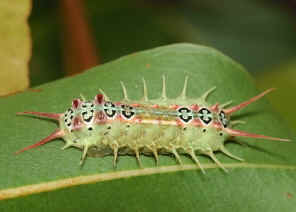 We kept the caterpillars in a glass jar and supply them with flesh gum leaves. When the caterpillars grew to about 25mm, they found a suitable place for pupation. 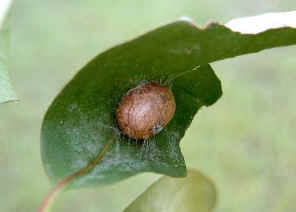 The place could be under leaf or even in a clam that we put in the jar to hold the host plants. 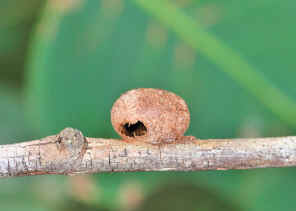 The caterpillar made its cocoon by attached itself to the suitable place by silk first. Then lay the silk all over its body. 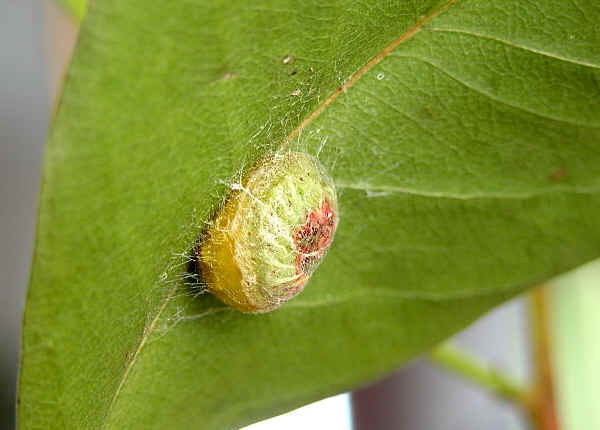 The caterpillar walked on the inner surface of the silk cocoon, bit by bit and lay the silk until all its body is covered. 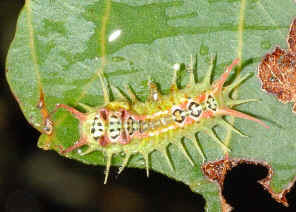 Then the caterpillar coated the silk with some liquid which harden the silk and turn into brown colour. 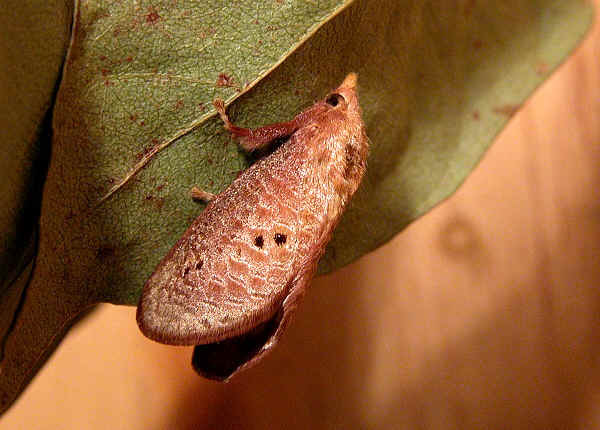 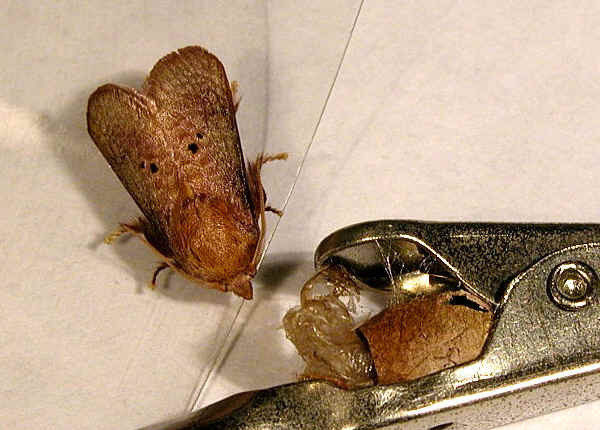 After about two weeks, the Four-spotted Cup Moth adult come out from the pupa. The moth was shiny brown in colour, with four black spots on each forewing, i.e..,as their common name. 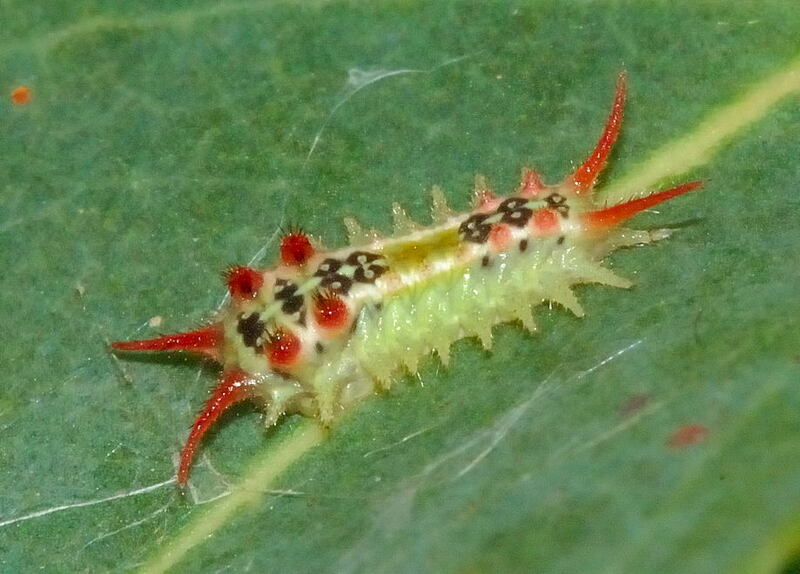 However, some individual two spots of four are almost missing. 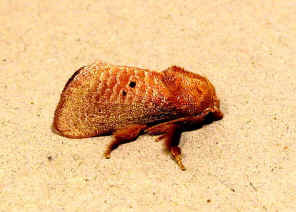 The moth looks identical to another moth Black Slug Cup Moth in this family, although their caterpillar look very different. 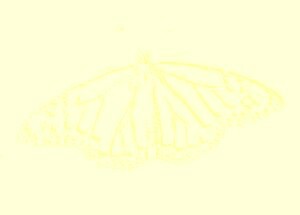 Last updated: March 12, 2011.